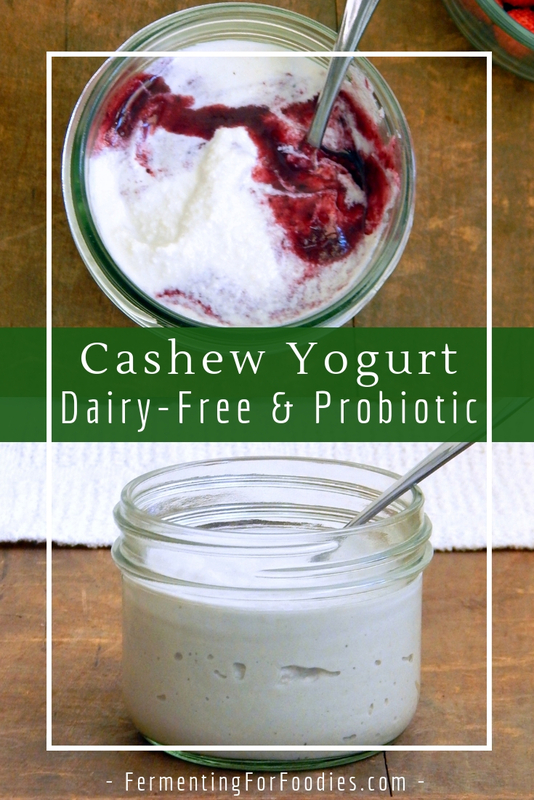 Cultured cashew yogurt is a delicious dairy alternative that is probiotic, and full of healthy fats and protein. It will leave you feeling satisfied, whether you have it with fresh fruit and granola for breakfast, or a swirl of fruit sauce for dessert. Cashews are ideal for making non-dairy alternatives. When soaked and blended, they become thick and creamy. 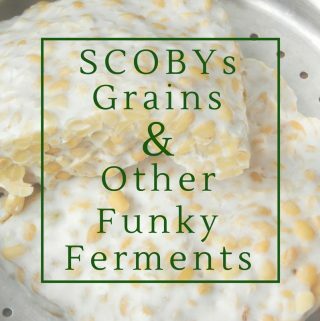 They have a mild flavour and culture well, which makes them ideal for non-dairy ferments! Sour cream: with the addition of some lemon juice. 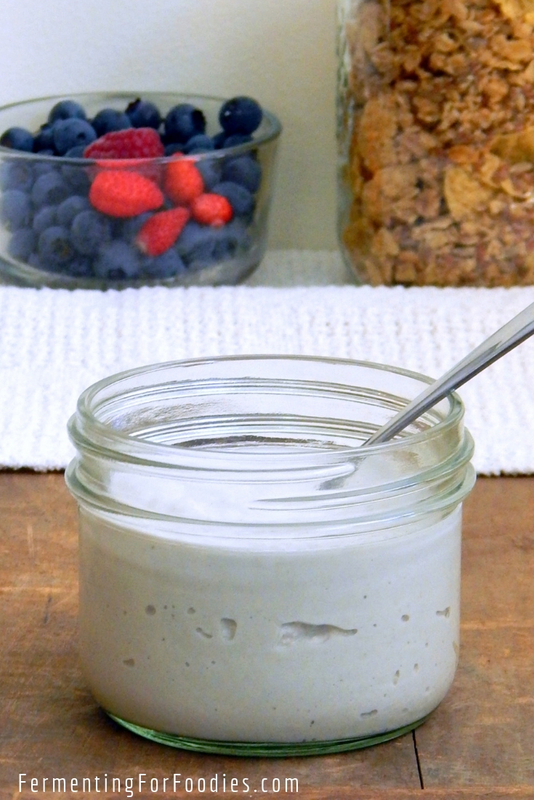 Cream cheese frosting: for a probiotic, sweet treat. Cashews are also perfect for making a creamy cashew and miso cheese. Soak cashews in water for 1-2 hours. Slowly heat the cashew cream to 110 F (40 C), whisking occasionally to keep it from scalding on the bottom of the pot. When you've reached 110F, remove from heat and stir in the culture. 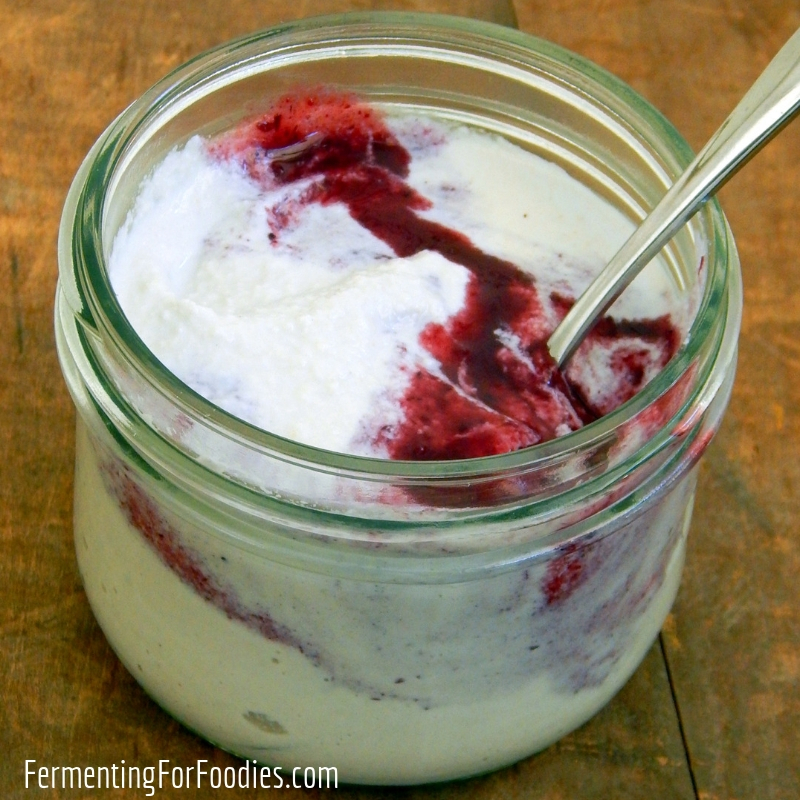 Pour the warm cashew cream into containers for culturing. Maintain at 110F (40 C) until the cashews have soured. 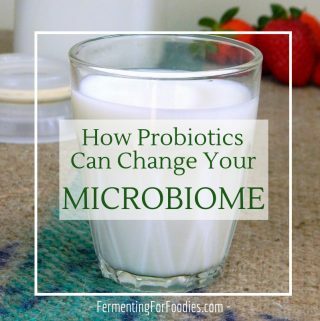 It will take at least 4 hours, or if you like a strong yogurt then you can culture for up to 24 hours. See below for ideas on how to keep your culture warm. Store in the fridge and use within 3 weeks.
. You can also culture cashews with a dairy-based yogurt culture, though the flavour is not quite as good. -Start with high quality cashews, as the initial flavour of the cashews will greatly effect the flavour of the cashew yogurt. to make a bunch of individual pots of cashew yogurt. 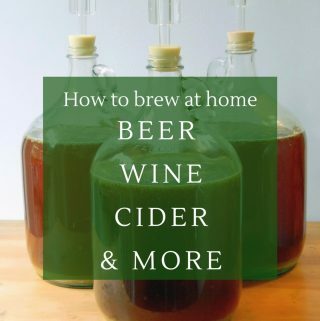 I have a folding fermentation box that I use for a lot of different ferments. 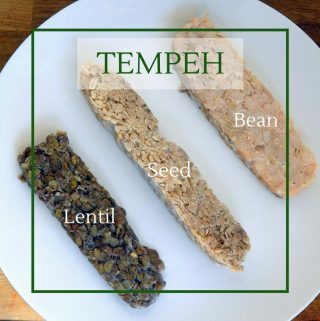 I find it particularly handy for making things like tempeh. Put the jars in the oven with the oven light on. Stick them in a cooler with a hot water bottle. Put a few small jars into a slow cooker and use the keep warm setting.